Retail financial services, no credit checks, need open and active bank account with any source of verifiable income for on-the-spot financing. Also offer Canadian currency money orders, cheque cashing service, foreign currency exchange, cashing of Canadian currency, third party bill payments accepted. Agent for Western Union money transfers. 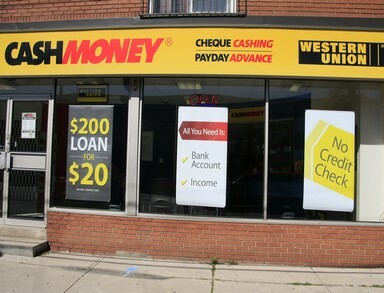 Founded in 1992, Cash Money is Canada’s leading privately-owned alternative financial services provider. Our steady growth over the years has been built on hiring friendly, capable staff who provide expert service and often in more than one language. We’ve always focused on giving customers what they need in a timely, comfortable manner.